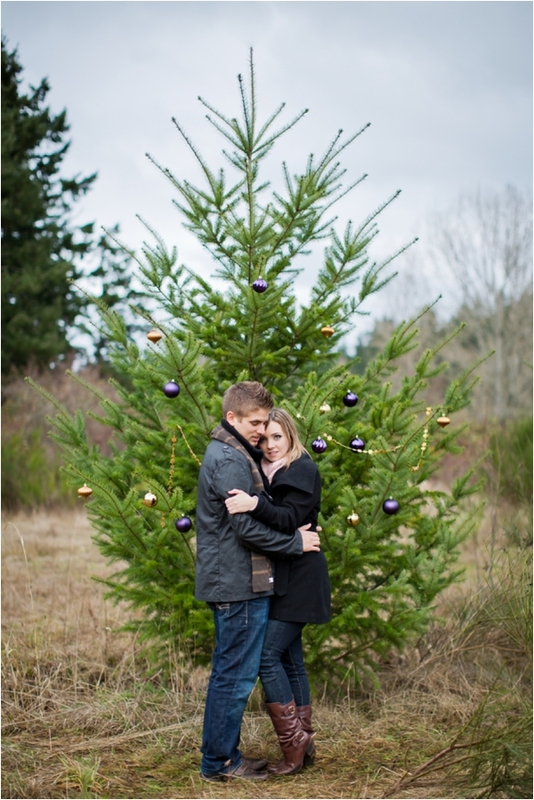 A fun Christmas engagement session from Canada by Dragonflight Photography that features a couple's love for Christmas. 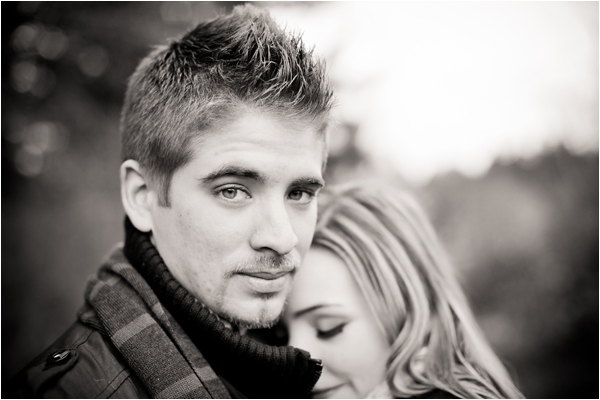 This is what engagement sessions are supposed be like - a session all about who you are as a couple and what you both love. Scroll down to see more photos! 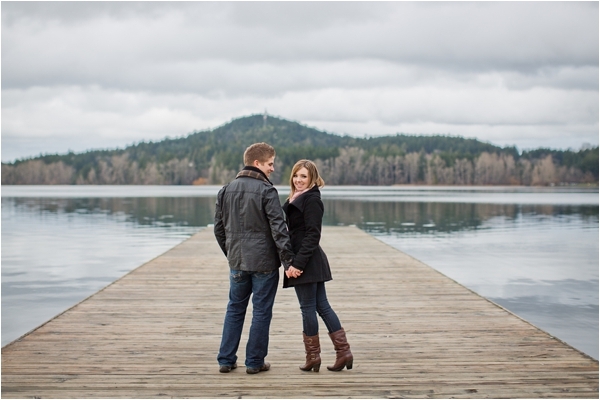 From the couple: The engagement session took place in Victoria, BC at Elk Lake. 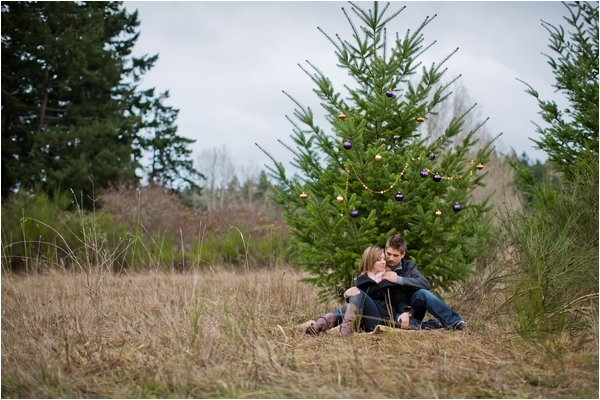 We wanted to originally photograph at a Christmas tree farm but ended up at Elk Lake finding a sole Christmas tree in the field. 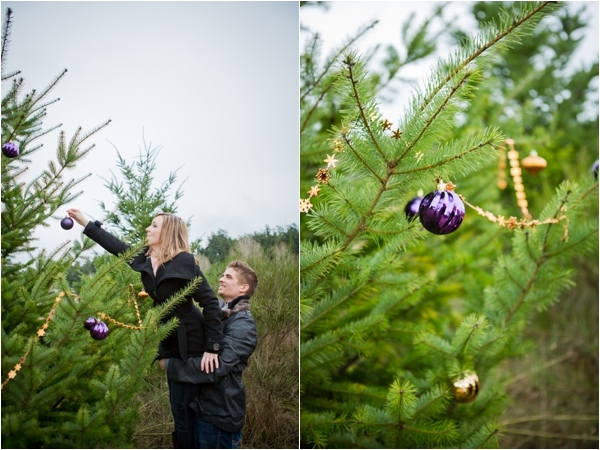 Erin has a love for Christmas and knew she wanted to decorate a tree with her wedding colours. From there we headed over to the lake side and just had fun on the dock taking pictures. 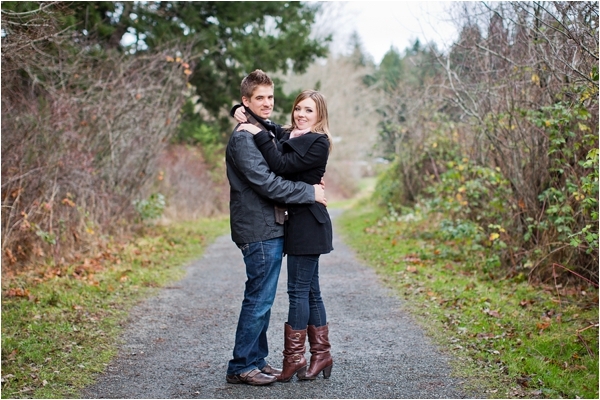 About the couple: We both used to work at a Greek restaurant, Il Greco's. I was a hostess, and Jimmy did deliveries as a side job. I didn't have my license at the time, so I asked him for a ride home one night (which happened to be Valentines day). And from there things grew. Erin said: I love that I know Jimmy will always be there for me, and will do anything for me if I need his help. He is my number one supporter. And I love that he thinks outside the box, always finding a way to fix things. Jimmy Said: Erin is more to me than just my partner she is my best friend and we can do everything together, when I look into her eyes I can see the genuine love she feels for me and that makes me truly happy. The proposal: By accident I knew it was coming, because I found one of my rings left on the dresser and not in my jewelry box lol. Jimmy knows I love Christmas and then it happened, Jimmy said he wanted to do it when it was snowing, but it didn't seem like it would end up being in the upcoming forecast as we live in Victoria and snow hits maybe two days of the year. Anyways, it was on December 9th. We went for dinner, and then went to Butchart Gardens to see the 12 days of Christmas display. It was my first time ever going there. We walked around, and he ended up asking me in front of the lake that shoots up water and is lighted. 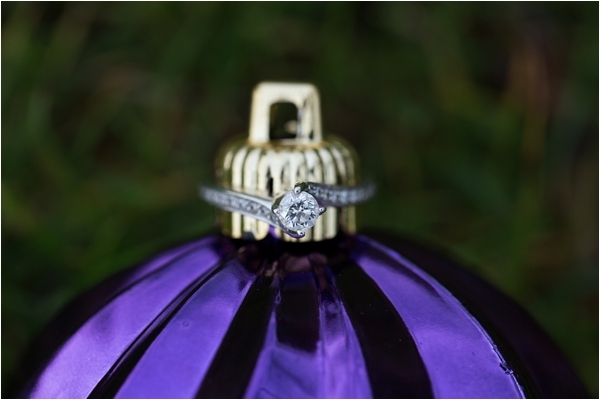 He did go down on one knee too. I was so thankful to hear that Jimmy had asked my dad beforehand.